jamaal charles – Welcome to Daly Dose Sports- Your dose of sports and sarcasm. 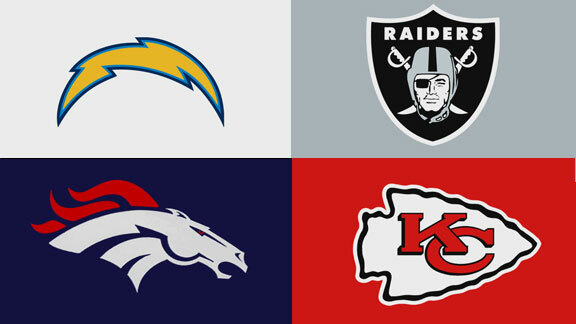 Our final NFL preview takes a look at the AFC West. Can Alex Smith throw a pass to a wide receiver? Can Peyton Manning fit into a new offense? Will Philip Rivers have another child before I finish typing this sentence? And the Raiders…they still have a team, right? Denver Broncos 11-5 The Broncos fired head coach John Fox and hired Gary Kubiak after the disappointment in the playoffs last season. Team President John Elway has made it clear that the goal is Super Bowl victory or bust. Of course you know QB Peyton Manning is going to prepare like he is a rookie every single year. Say what you will about the future Hall of Famer but success has not given him a swollen head. Nature did that. Kansas City Chiefs 10-6 Tired of the inconsistent play of WR Dwayne Bowe the Chiefs allowed him to leave and instead signed the speedy Jeremy Maclin. They also have Jason Avant, TE Travis Kelce, and RB Jamaal Charles who should finally be fully healthy. Of course they will have QB Alex Smith shot-putting the ball out to them so does it really matter? Did you miss the NFC West Preview?